As Christians, should we be for war or against it? This is a topic that is brushed under the rug a lot. I guess you could say there is good reason for it to be there. Well first of all I don’t think it is right for christians or anyone for that matter to avoid tough topics by not recognizing they are even there. I have gone to church my whole life and not once has a pastor preached on the topic of war and whether or not it is Biblical for disciples of Christ to be involved in it. I do not think this is right and feel bad for all the christian men and women who have fought for this great nation not knowing they are completely going against what Christ stands for. I am not saying that God is against war, but if he is that sure is a bummer for all of those troops. I feel bad that this topic has not been looked at more or discussed within the church. For most of my life actually all of my life I have thought of joining the military as a very prestigious, honorable, and heroic act. I mean honestly whats more heroic than this, “The face of true courage: Marine, 24, who lost an eye when he jumped on a grenade to shield his comrade from blast in Afghanistan to receive the Medal of Honor.” This is at the top I would say and most would tend to agree. Even the Bible agrees, “There is no greater love than to lay down one’s life for one’s friends.” John 15:13. Now is the Bible promoting this type of behavior? Laying down ones self for a friend. This is exactly what Jesus did for us. He laid down his life for us. The ultimate sacrifice. Now you may be wondering what does the crucifixion have to do with war. I think it has a lot to do with it. “For our struggle is not against flesh and blood, but against the rulers, against the authorities, against the powers of this dark world and against the spiritual forces of evil in the heavenly realms.” Ephesians 6:12. I think this verse clearly points out that there is war. There is a war that is going one constantly in the heavenly realm. This is the war that Jesus was fighting when he died on the cross for us. He laid down his life for us. 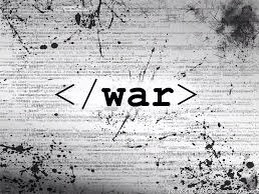 I think war is something that is relevant in the christian life. This war has been going on for forever. Even though Christ is victorious we still have to be ready to fight the schemes and traps that the devil has for us. The war started when God’s perfect world was tinted by sin. This world has never been the same and will never go back to how it was supposed to be. It was meant to be a place of peace and prosperity. A place where we could walk with God and be in fellowship with him without hindrance. Since we all know first hand that this is not the case. The world is full of heartache, disaster, sin, and evils indescribable like war. My point in all of this is that there is a direct correlation between the spiritual wars to the earthly wars. There would be no wars on this earth if it wasn’t for the dirty dead in the garden. Once or maybe more than once have I seen a bill board that said “dirty deeds done dirt cheap.” Well this may be the case for this business I do not think it is the case for most things. The sin of man or dirty deeds that man gets his hands dirty with are not cheap by any means. They are normally the most costly things. For instance, the sin that Hitler was involved in, cost many people their lives. I would say that I hold an opinion that would go something like this. War as bad, ugly, and immoral it may be is going to happen whether we like it or not. Its just an effect of eating of the apple. (I bet Eve wasn’t say Good Eats after she ate the fruit.) We can either sit on the bench as christians or get in the game and make a difference in fighting against evil and the sins of this world. I fully believe that God does not think war is bad. All the times he told Joshua to lead men into battle and told David to kill Goliath. God was very much a part of war in the Old Testament. He told the Israelites to fight in his name and he would bring them success on the battle field. I am not condoning any injustices that were or are had in war. I do think it would be foolish to stand by and not get involved in something that effects your country, church, and family. I also think that when you fight in a war you need not look at all the details. Its war and its bad. You need to look at the big picture and understand, who, what, and why you are fighting.